Best Lego Building Ideas: Got Loose Pieces? If you have kids, you own LEGO® bricks or even full sets. LEGO® sets require kids to follow a set of included direction to build exactly what is pictured on the box. LEGO® sets do not really encourage creativity or free building, but that doesn’t mean they can’t be used for other purposes. Whether your kid has boxes of LEGO® bricks sitting around the house or sets they are ready to repurpose here are over 25 fun LEGO ideas you and your kid can build. All of the pieces needed for this contraption can be found inside the LEGO® Klutz Crazy Action Contraptions book. 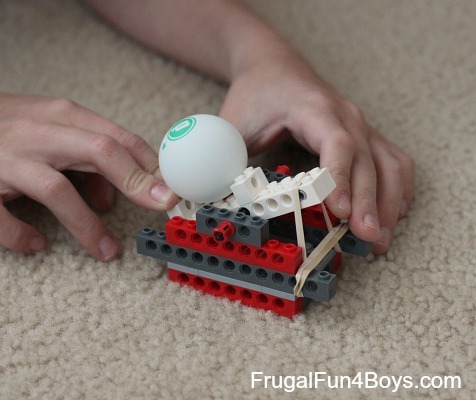 Following the instructions found on Frugal Fun 4 Boys, your kid can build a catapult that actually works with minimal pieces. Two catapults can be built depending on your child’s age. One of the great things about this building project is you can teach your kids math at the same time. 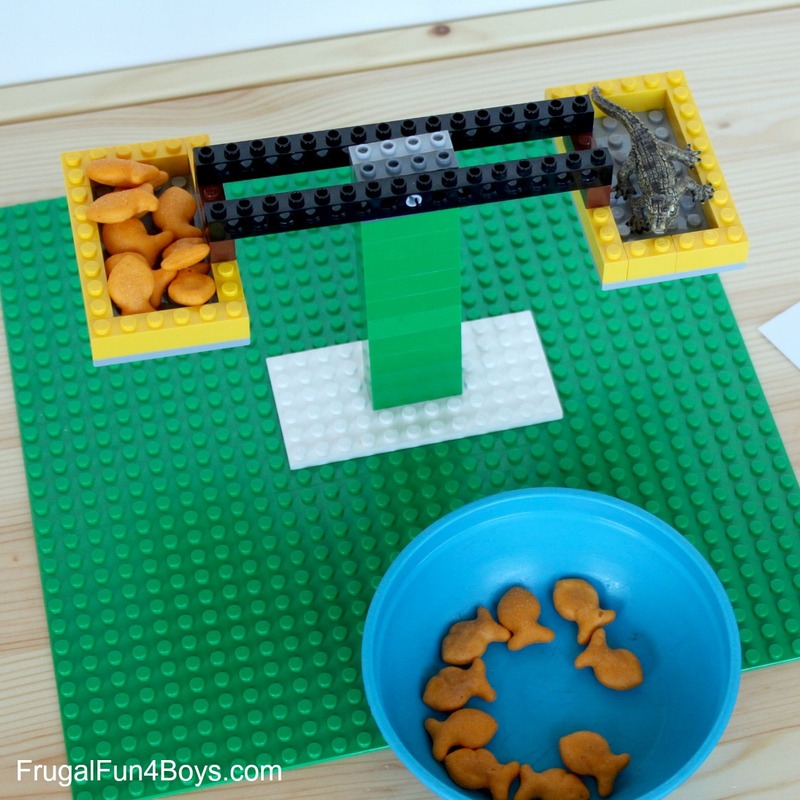 With the LEGO® Balance, you and your kid s can build a scale that actually works. Once built you can use the balance to weight various items found throughout the house. 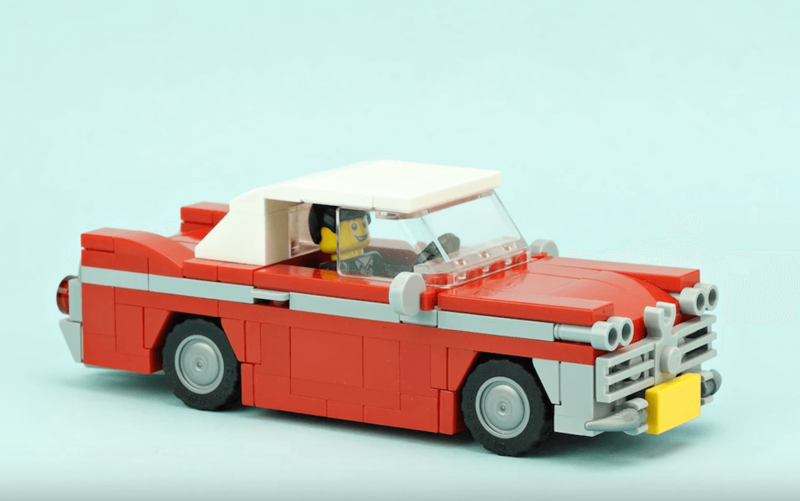 Get started with a LEGO Classic Brick Set. One of the most creative things I have seen yet from a LEGO build is working nightlights. Yes, I said working. Once you build the nightlight, simply insert a battery operated tea light into the center for your working light. With the tea lights they don’t get hot to the touch, so you can even close the top of the nightlight if you wanted. Never run out of baseplates again with these different buying options. 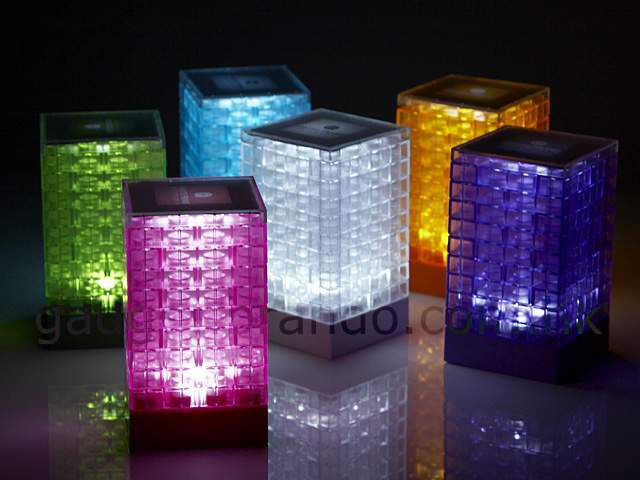 These Mini LEGO LED lamps can actually be used to decorate your home with. 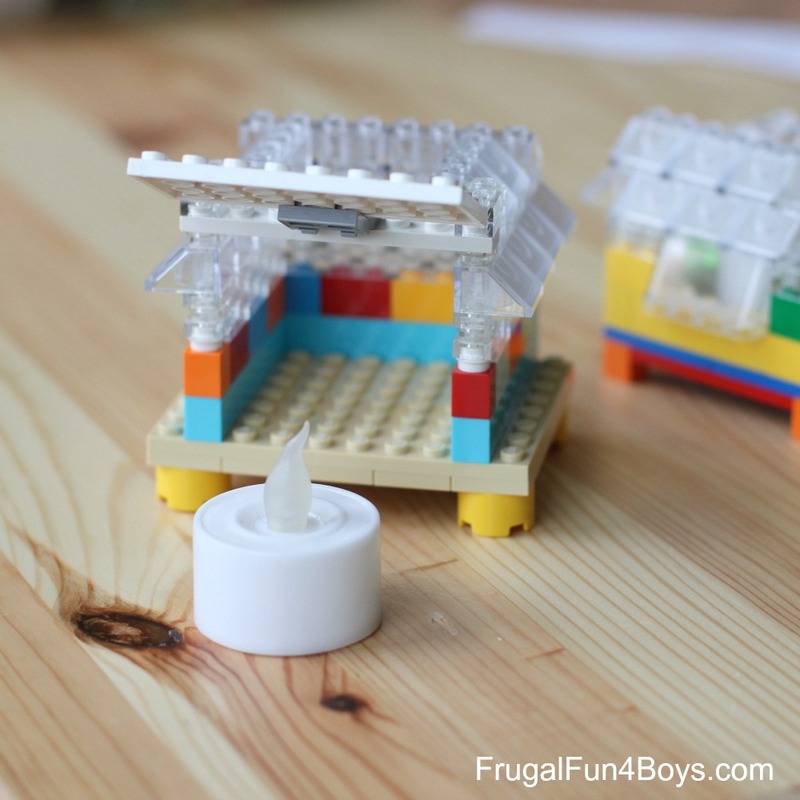 When building your own LED lamps you want to use transparent or semi-transparent LEGO bricks as this allows the light to shine through. You can create several different lamps using a single color for each lamp or you can create one using multiple colors. Purchase your own transparent LEGO bricks to get started. If you have a Star Wars lover in your house this LEGO Yoda build is something they will enjoy. Building LEGO Yoda is all about colors, so make sure you choose wisely. Yoda can be sat out for display or join other Star Wars characters for an epic battle scene. What better place for Yoda to rest than Yoda’s Hut. You really can’t have one of these Star Wars characters without the other. 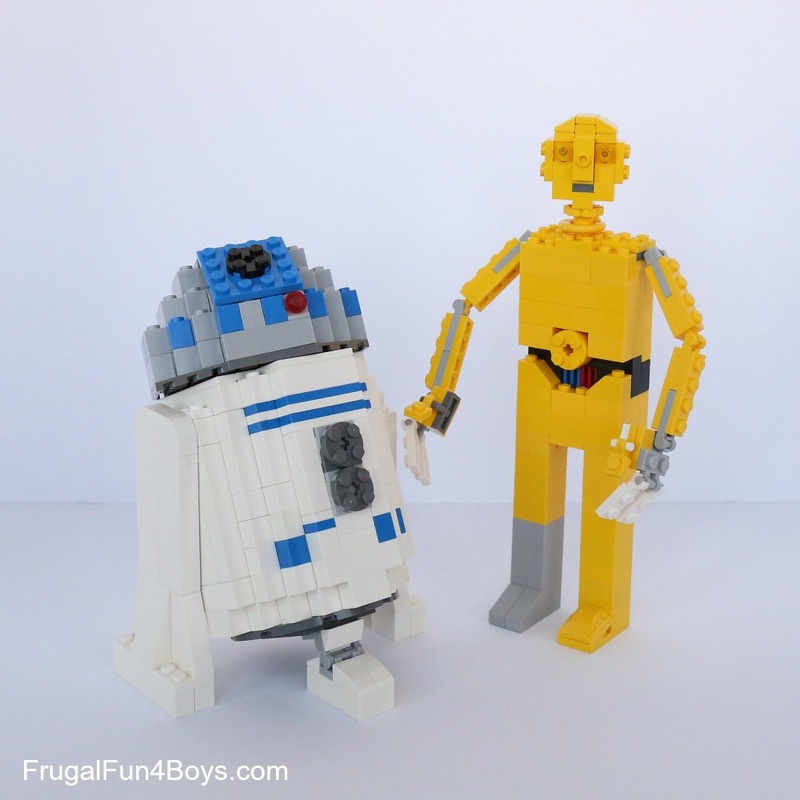 One thing to bear in mind though is that C3PO is not in the right scale when you compare him to R2-D2, so you can use the basic design and build bigger if you have more yellow bricks. Or just keep them all the same size and display them alongside Yoda. Add the Darth Vadar Transformation Set to your Star Wars Collection. Skulls are one of the most popular designs right now, so why not learn how to build one out of LEGO bricks. When building a skull you can use all white bricks to give it a realistic look or you can use various colors to give it your own classic design. Spray painting the LEGO bricks is also an option for those that really want to get creative. Find most of the colors you need to get started in your Classic LEGO Sets. Looking for something to give your Mom for Mother’s Day? Does your Mom like to have flowers throughout the house? If so you can build her, her very own flower vase made entirely out of LEGO bricks. You will need a glass container to place inside the outside of the vase, as LEGO bricks currently don’t have the ability to hold water inside. Create the perfect rainbow of colors with this Classic Rainbow Set. With LEGO flowers you never have to worry about them dying from lack of water. 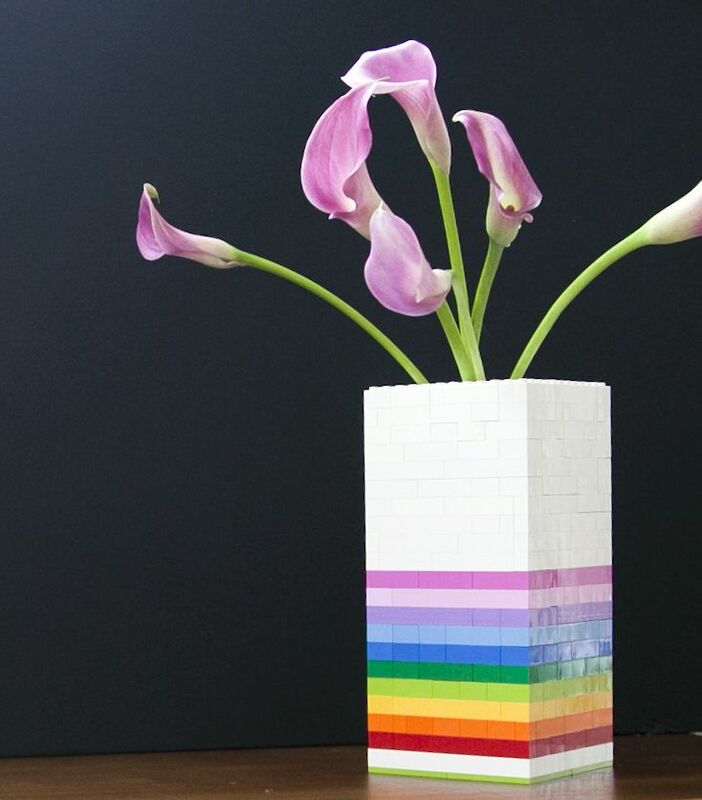 These LEGO flowers can be paired with the LEGO Vase for the perfect gift for Mom. These flowers can be built in any color and are easily repaired if one accidentally breaks. Find all the colors you need to get started in with this Classic Quad Pack. If you need something that is going to keep your kids busy for a while, these LEGO headphones are an excellent choice. This project is a little more complicated than others so some parental help might be needed. Once the project is complete our kid will have their very own pair of working LEGO headphones they can use to listen to music without you having to hear. Bring your LEGO creations to life with the Technic Power Functions Set. One of the greatest things about this simple birdhouse is how easy it is to build. Younger kids can even accomplish this build, as long as they have the required bricks. 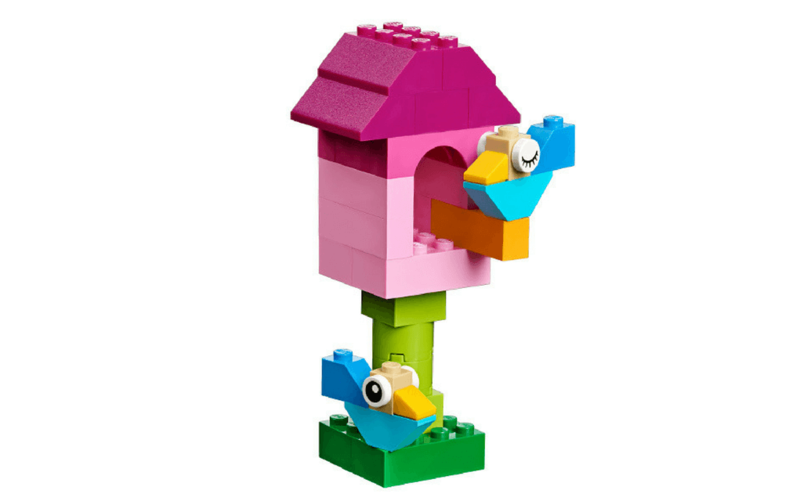 While the image shown is a pink birdhouse, you can easily substitute the colors with your own choices. Why not add some other fun creatures to your builds designs with the Classic Ocean Bottom Set. Chances are your kids are huge Minecraft fans. It is one of those games that never seems to go out of style, kids of all ages still play it. After all, how many video games allow you to build and destroy your creations, sounds almost LEGO-like. 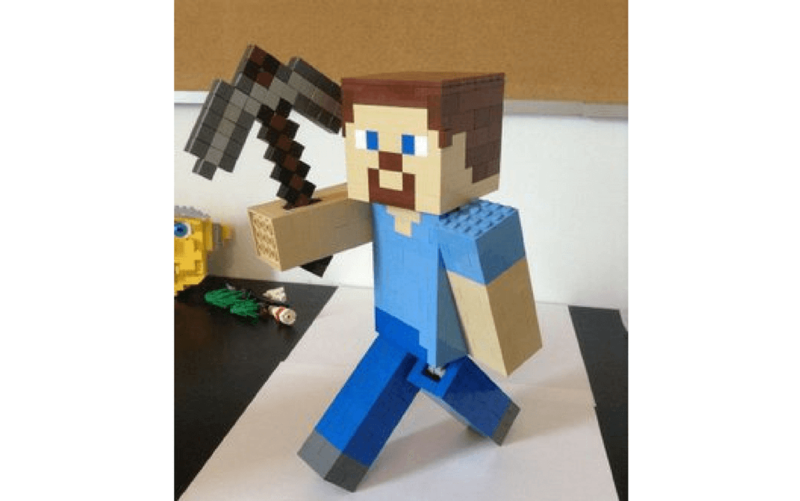 Minecraft Steve is one of the best projects for your Minecraft fans to take on. Even Minecraft Steve needs a place to go so how about The Iron Golem. The minions are one of everybody’s favorite characters, for no reason that any of us can understand. The only thing they say that makes any kind of sense is “banana” and yet we find them simply irresistible. 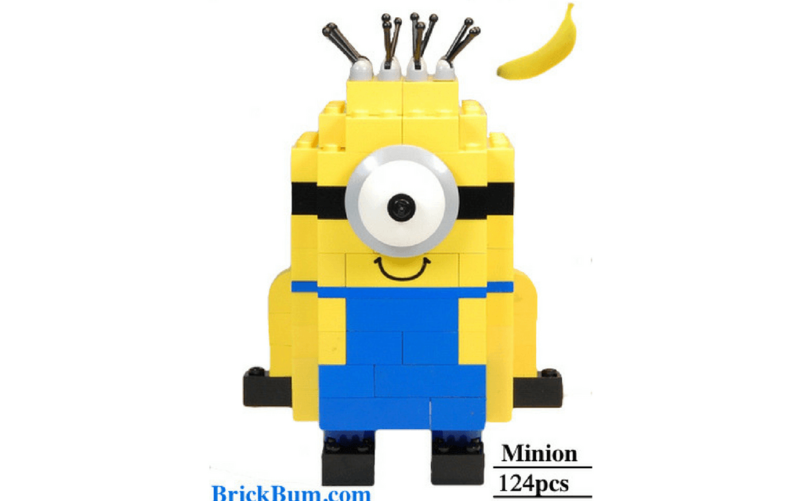 Now you can build your very own LEGO Minion to display in your room or work on building a small or large minion army. Find all the extra special pieces you might need in this LEGO Window and Doors Set. Now, these roller skates can’t actually be used, but they are a great way to get your kids thinking about playing outside. The retro roller skates pictured are purple, but what colors you use is a personal choice. 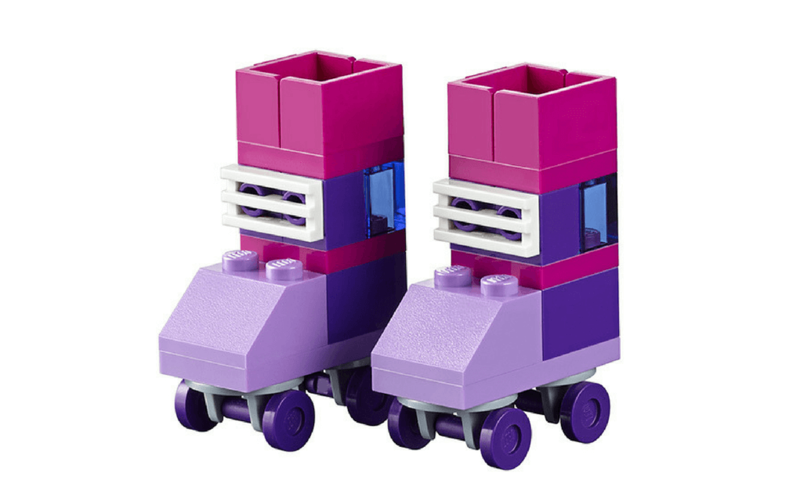 These skates will roll and can be built using the 10702 Creative Building Set. Find even more fun building ideas in The LEGO Ideas Book. This LEGO idea combines science and imagination. 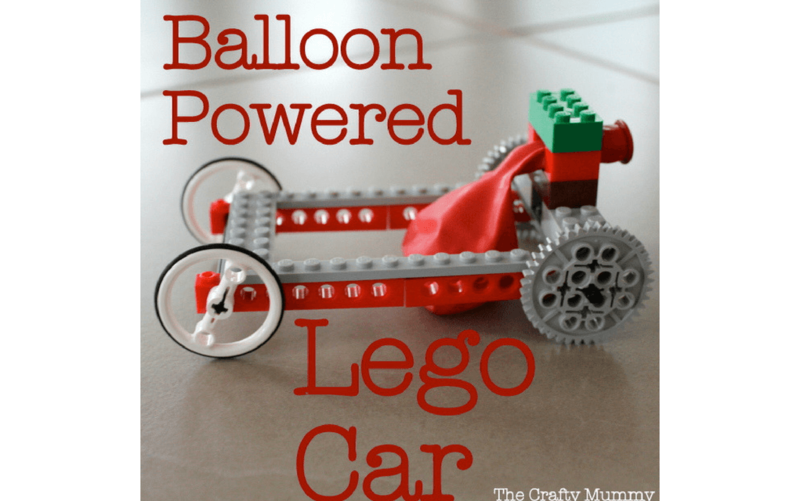 The car is a rather basic model, but rather than having to push the car your kids can simply blow up the balloon and watch it go. Your kids will learn an important lesson in science all while having fun. Find all the bricks and gears you need with the Classic Bricks and Gears Set. Are you a classic car lover or how about our kids? If so, you need to check out this vintage 1958 Plymouth Fury. For those horror fans out there you might recognize this classic as the main characters in the movie “Christine,” based on the novel of the same name by Stephen King. Not a fan of the classics perhaps you need the City Pickup and Caravan Set instead. 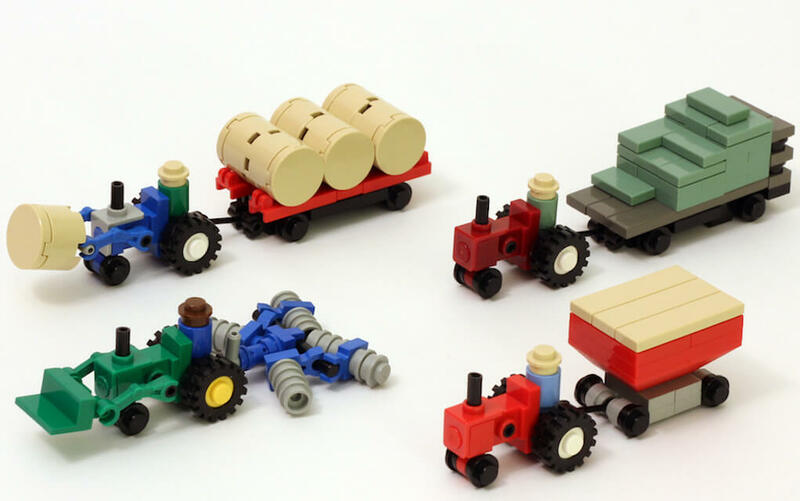 Now, these farm equipment pieces are not built using regular sized LEGO bricks. These pieces are created using some of the smaller and more precise LEGO pieces and you will be amazed at how precise they look. Some of the pieces are harder to build than others, so younger children might have a difficult time. Or build yourself a truck with the Technic Stunt Truck. Although this ambulance might be a little old school it not only looks good, but it works too. The vintage style ambulance can be added to a growing LEGO Classic Car collection or it can be turned into the medical vehicle of choice for your child’s next playset. Never run out of wheels, axles or tires again with this LEGO Wheel, Tire, and Axle Set. Amaze your friends when you start taking pictures with a working LEGO camera. The camera design also doubles as an iPhone4 case. The camera comes complete with an ornamental shutter release button and wheel lens. The back of the camera is where all the action takes place within the large opening with a hinged door. Perhaps you need a moving robot instead with the LEGO Creator Robo Explorer. 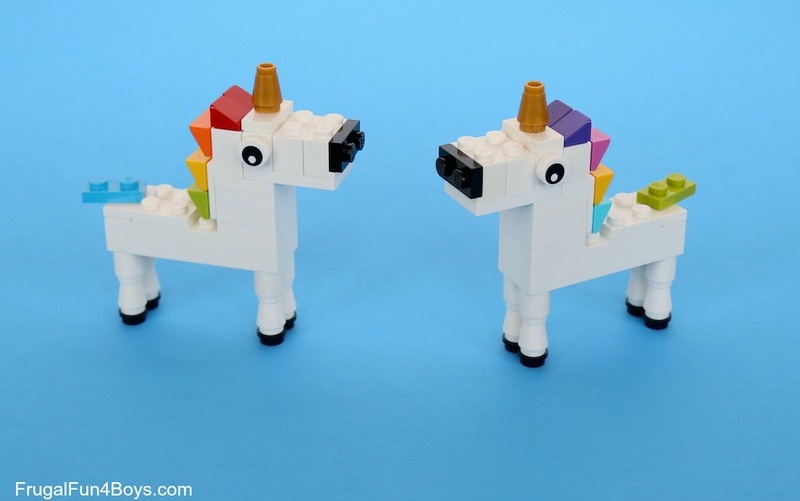 Everybody loves unicorns these days, so why not learn how to make your own with this unique LEGO build. One of the great things about these LEGO unicorns is that with a few minor adjustments you can create your own horse. Never run out of the most popular bricks with this XXL Classic LEGO Set. Pokemon is one of those games that will be around forever, as people of all ages enjoy playing it. 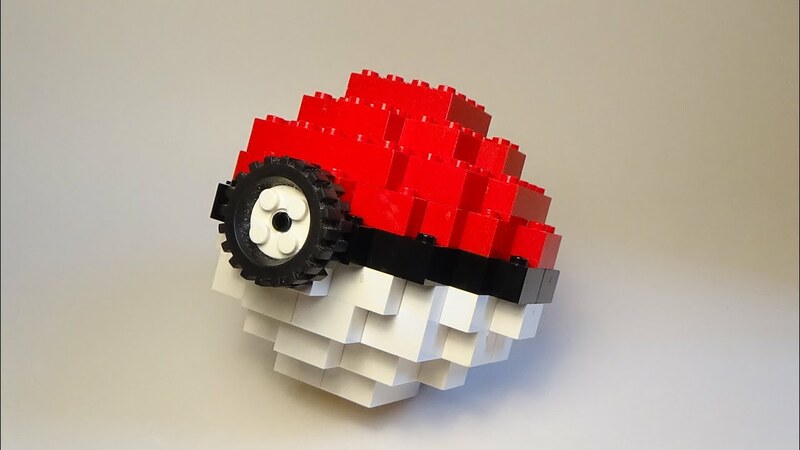 With LEGO bricks your kids can build their own Pokeball so they can go and catch them all. The basic Pokeball design can also be used to build other balls. With this LEGO Education Wheels Set, you will always have everything you need to complete your builds. Although not as popular as they once were when the game first came out these Angry Birds figures is fun to build. 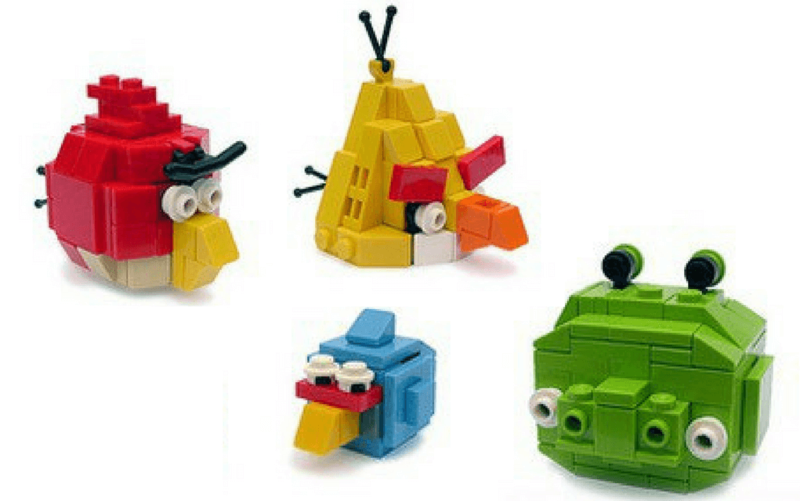 The builds include the three main birds along with the main energy, the pig. Use the builds to play your own game of Angry Birds. Just rebuild each piece when you are done. Build even more fun and mythical creatures with the LEGO Creator 3 in 1 Mythical Creatures Set. Now I know the name states a blue crab, but in reality, you can make the crab any color of your choice. 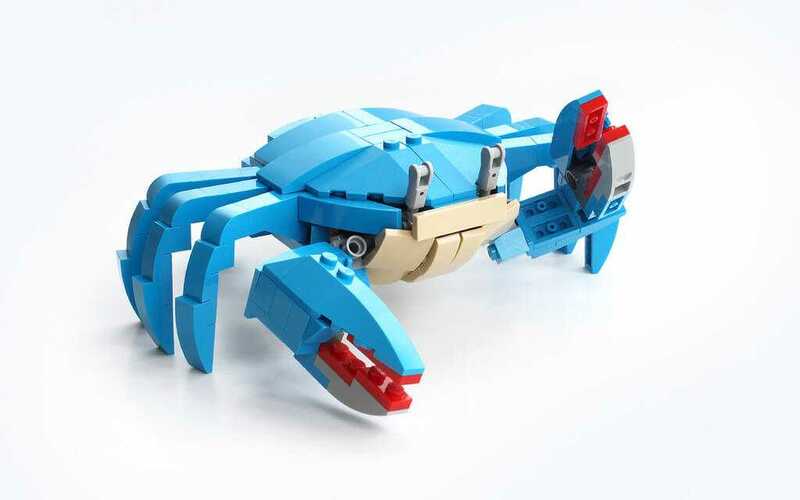 The best part about this fun LEGO idea is how realistic the crab looks. The interesting part is the build is a modification of a VW Beetle. Like sea adventures try building the LEGO Ship in a Bottle. 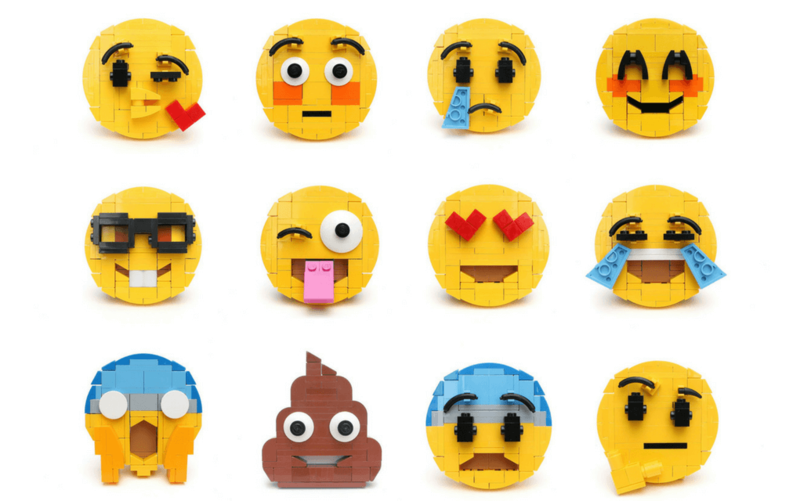 Let your kid express themselves with these LEGO brick-emojis. Not only are these fun to build, but they can also be used as decorations at an emoji themed party. One of the great things about these brick-emojis is you use the same basic structure for each one and then change the features to create your favorite ones. Find more creative ideas within the LEGO Boost Creative Toolbox. 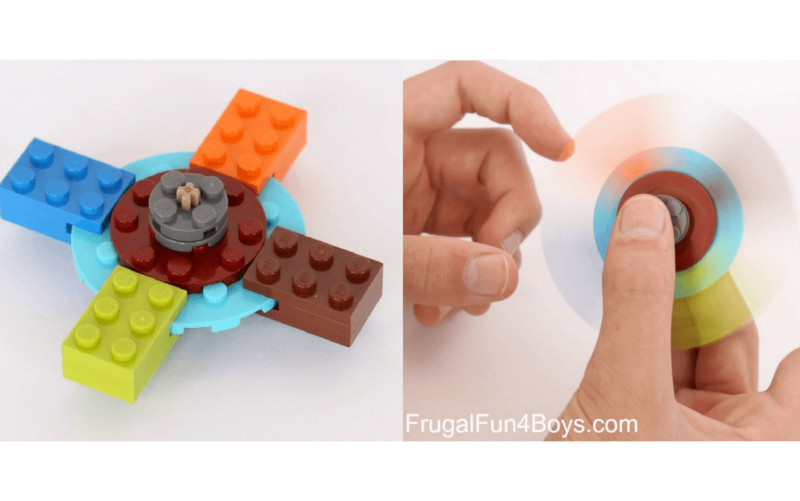 Fidget spinners were once the must-have toy, so it makes sense that somebody decided to build one out of LEGO bricks. If your child still enjoys playing with fidget spinners have them build their next one out of LEGO pieces. The best part is they can customize the colors to their liking. Find more creative build ideas in Brick Cars and Trucks.